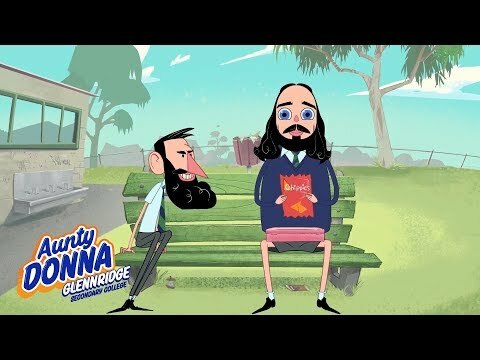 Australian sketch trio Aunty Donna have got into animation for their latest online video. The prolific team's latest effort imagines Mark Bonanno as a crisp thief trying to target Zach Ruane's snack, with Broden Kelly as the teacher. The group's recent videos have all been set in high school.